This week, the Treasury Department used authority delegated to it by the president, under Executive Order 13661, to sanction Russian gun maker Kalashnikov Concern (formerly Izhmash). In the United States, the manufacturer is best known for its popular Saiga rifles and shotguns. While ostensibly a measure to curb aggression by some in the Russian Federation, the move does bar from importation firearms that gun control supporters have long sought to ban. We of course recognize the important role that enacting sanctions can have in furthering legitimate U.S. foreign policy interests. However, in this instance the extent to which these actions coincide with the stated domestic policy goals of gun control supporters is more than a little unsettling. As such, NRA-ILA is monitoring this situation closely. Executive Order 13661, titled, “Blocking Property of Additional Persons Contributing to the Situation in Ukraine,” was signed March 16th in response to Russian actions in the ongoing conflict in Ukraine. The order gives the Secretary of the Treasury the power to compile an appropriate list of entities to be sanctioned. On July 16th, the Treasury Department announced that it was expanding this list to include Kalashnikov Concern. The old adage goes: The only decent product ever produced by the USSR was the AK-47. After the breakup of the USSR and the end of Cold War, Russia has continued to produce well-regarded AK-pattern rifles that have become popular among American gun owners. The intense U.S. demand for Saiga’s in recent years led to a 2012 New York Times article profiling the popular imports. 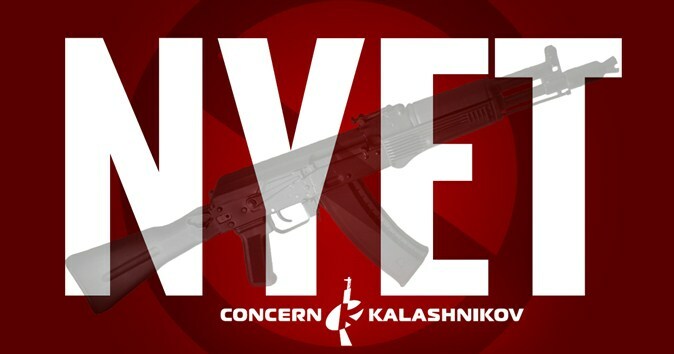 If a U.S. person is in possession of a Kalashnikov Concern product that was bought and fully paid for prior to the date of designation (i.e., no payment remains due to Kalashnikov Concern), then that product is not blocked and OFAC sanctions would not prohibit the U.S. person from keeping or selling the product in the secondary market, so long as Kalashnikov Concern has no interest in the transaction. Whatever the true basis of the current decision might be, import restrictions have long been used by the executive branch as a means of unilaterally enacting gun control. Historically, this has often occurred through abuses of the “sporting purposes” test. For example, this standard is used in requiring the Attorney General to authorize import of any firearm that “is generally recognized as particularly suitable for or readily adaptable to sporting purposes.” The Bureau of Alcohol, Tobacco, Firearms and Explosives (BATFE), however, has ignored the popularity of particular shooting sports to justify its attempts prohibit certain firearms. Further, the entire test is constitutionally suspect, particularly in light of the U.S. Supreme Court’s Heller decision which recognizes self-defense as core to the Second Amendment right. This tactic was used in 1989 by George H. W. Bush, and in 1998 by Bill Clinton, to ban the import of several types of semi-automatic rifles. As recently as March, Sen. Dianne Feinstein sent a letter to Obama urging that he use the “sporting purposes” test to bar certain firearms from importation. In a similar example of executive branch gun control through import restrictions, in 1996, Clinton entered the U.S. into a “Voluntary Restraint Agreement” with Russia that banned the importation of several types of firearms. More recently, importation of a popular brand of Russian ammunition that had long been available in the U.S. was abruptly banned under a federal regulation pertaining to so-called “armor piercing” handgun ammunition. BATFE has thus far failed to explain why this ammunition, favored by many recreational rifle shooters for its relative affordability, did not qualify for the “sporting purposes” exemption that has been applied to other military surplus cartridges designed for use in rifles. This has led to renewed calls for BATFE to explain its methodology for making “sporting purposes” determinations. Taking into consideration these past import-based firearms restrictions, and the administration’s ongoing attempts to further gun control through executive actions, gun owners are rightfully skeptical. These latest sanctions will no doubt engender the idea among some that the Treasury Department is using a geopolitical crisis as a convenient excuse to advance the president’s domestic anti-gun agenda. We will continue to look for opportunities to block the Obama administration's anti-gun agenda whether through the legal, legislative or political arenas.